The voice of the Roofing Industry in New Brunswick for over thirty years. NBRCA Contractor members must also be members of the Canadian Roofing Contractors’ Association (CRCA) and CRCA Contractor members resident in New Brunswick must be members of the NBRCA. Not all roofing contractors are created equal, and not all roofing contractors in the Province of New Brunswick are members of the NBRCA and CRCA. NBRCA members set themselves apart from non-member roofing companies through the quality standards they have adopted, their commitment to the roofing industry and their dedication to professional growth. Contractors that want to become and remain NBRCA members must meet or exceed these standards in everything they do. The blue seal designates a member of the NBRCA with a focus on low slope roofing systems, including industrial, institutional, and commercial projects. Companies with the green seal are not only Contractor members of the NBRCA; they are also shareholders in the Master Roofers Guarantee of New Brunswick (MRGNB), with a focus on low slope industrial, commercial, and institutional roofing applications. providers of specialized services associated with the roofing industry, including insurance and bonding. Our Associate members demonstrate their commitment to the New Brunswick roofing industry by providing quality products and services, and timely technical support, to both our industry and our clients. The Consultant/Observer members of the NBRCA support our contractors, associates, and clients by providing professional inspection, analysis, consulting, design, and/or quality assurance observation (QAO) services to building owners and other design professionals. are working toward their RRO and are under the supervision of an RRO accredited professional. Together these three distinct, yet interlinked, groups represent roofing contractors, manufacturers, suppliers, building envelope consultants, quality assurance observers, and other industry members that are fostering excellence in roofing related activities. “As the General Manager, I cover all aspects of the Company. We have roughly 10 full time people working for us and others whenever needed. We do work for the individuals and the general contractors, with governments, etc, just about anything at all. Personally, I have been in construction since 1970, most of my men have been in construction in the same amount of years in the roofing business. Ashe Roofing itself has been in business since 1992, we are a small PEI Company, exclusively PEI, and we have what we consider to be the best workforce on the island. The company does all kinds of roofing work, including 2 ply modified bitumen and built-up roofing. When you select Atlantic Roofers Limited, you are getting more than just a roofing company. Along with the contract comes a commitment to excellence that dates back to 1972 and our beginning in Cocagne, New Brunswick. Over the years, we have established six regional offices throughout Atlantic Canada. Our people have developed into what we believe to be the best roof repair and construction team in the industry. Our knowledge base spans the experience of more than 120 team members. 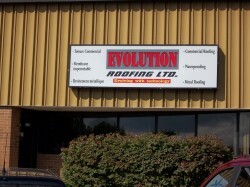 Evolution Roofing Ltd. is a young and devoted company that believes in safety, customer satisfaction, honest and hard work. We are committed to new roofing technologies that are environmentally friendly and that provide superior quality. Our commitment to excellence: To provide quality contracting services and design assistance in pursuit of long term performance and customer satisfaction. Flynn Group of Companies is North America’s leading building envelope trade contractor. For 40 years we have been providing quality contracting services in the institutional, commercial, and industrial construction marketplace. Flynn’s group of technical professionals have the knowledge and expertise to meet the demands of today’s increasingly complex commercial and industrial construction projects. We are committed to quality, service and customer satisfaction. We have enjoyed consistent and profitable growth over the years, gaining the confidence of our customers along the way. Today, we employ 5000 people with full-service offices across Canada and the United States. Our dedicated and motivated team will make your construction experience with us a positive one. We take pride in our history as we continue our ongoing commitment to quality contracting services and customer satisfaction. Flynn diversified its product lines of different types of Flat Conventional Roofing Systems and Structural Metal Roof & Floor Decking. We explored and pioneered Architectural Sloped Metal Roofing Systems & Architectural Metal Wall Cladding Systems, enabling Flynn to become a major supplier for most commercial and industrial construction projects. Flynn has established itself as a market leader in Architectural Metal Building Products, while maintaining its reputation as the acknowledged industry leader in the Commercial Flat Roofing Market in Canada. Flynn is the only “National” building envelope contractor in Canada. Landry (Val) & Son Ltd.
We have been able to be in business for so long because of the quality of service we offer to people, before, during and after a job is complete. Particularly after a job is complete, we make sure that a customer is 100% satisfied. Be it a large job or small, we strive to handle it professionally and we aim to please the people we work for. In spite of our years of experience, I feel that being a part of the NBRCA is important, particularly because we believe in it and, in an age of new roofing technology and products, we have a firm to go to with questions on roofing issues. Lunn’s Roofing Ltd. has been in operation since April 1998 and we have been a proud member of the NBRCA since 1999. I have gained extensive knowledge and experience during my 31 years in the roofing industry and am proud to be able to serve as the current President of the New Brunswick Roofing Contractors Association. My ability as a roofing contractor centers around my 25 years of experience, whereby I learned the business from the ground up. Over the years, I feel that I have become adept at using the tools of the trade, and I treat it as a major accomplishment. The hard work and dedication has begun to pay off as North Coast begins to develop a reputation for quality and service. As word continues to go around we will continue to offer value for dollar to our customers and stand behind our work. Success thus far in the history of Northwest Roofers can be attributed to tenacity with respect to customer needs, sticking with projects and so on. Also, roofing technology changes from year to year and for Northwest, new technology means new clients as we work hard to ensure that customers benefit from the best of what the market has to offer for clients. From the standpoint of roofing technology, keeping up with those changes has allowed us to complete even the most challenging industrial, commercial and institutional roofing projects. Being a part of the NBRCA / MRGNB is important to us as well as because of the difference between association members and non members. Whereas some non-member roofing companies are somewhat less known and may underbid on jobs, we feel that as members of the MRG, Northwest is recognized for its quality and devotion to service as well as for our commitment to safety, training, insurance and attention to the details that non-member companies often overlook. Northwest has built a reputation for quality and we work very hard to keep it that way. I started roofing in Boston, Mass. in 1964, working for the Columbia Cornice Company which were out of Somerville, Mass. I got over my fear of heights on one of the first jobs, the Prudential Building, a 57 story building downtown. There is a lot of hard work involved in roofing and you need a good crew; without them no company can be successful. You need to have everyone working as a team in order to succeed and no one person can accomplish that. I can attribute what we have built so far to hard work and, in particular the hard work of my employees. As you know, the NBRCA has become a household name for many. I was driven to become a member of the NBRCA because membership offers benefits and protection not only to the roofer but also the client. When dealing with a member of the NBRCA, clients know that they always have a voice, in case they are not entirely satisfied with a job that a contractor has done. The NBRCA is made up of qualified technical individuals who can investigate customer complaints. For this reason, I have had a tremendous amount of respect for the NBRCA, they are a nice group of people. Aside from running Nowlan’s Roofing 2005 Ltd., and carrying out duties associated with the NBRCA, I am past Director of the Canadian Roofing Contractors Association. The CRCA is an excellent organization and an asset to the roofing industry. 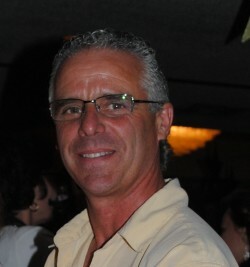 I am the President of Réjean Richard Roofing, the company I started in November, 1985. I can attribute my success thus far to hard work and dedication; you need to be there first thing in the morning, before the sun shines, and sometimes you go to bed when the sunsets. I should mention that Réjean Richard Roofing is family business; my wife and sons have also played a major role. My wife has worked with me in the company for over 25 years and has shown the same level of dedication that I have. 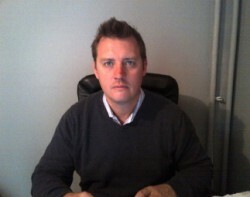 My sons Robin, Robert and Martin have been very enthusiastic about the company as well. As far as the NBRCA and MRGNB are concerned I know that it is very important to be a member because the industry organized the NBRCA and the Master Roofers, as well as the CRCA. I am particularly proud to be a member of the Master Roofers because of the warranty we offer to our customers. Aside from that, the Master Roofers use only the best products, the best technology and we want to make sure that we have no failures in the market. The Master Roofers Guarantee was founded in 1989 and I am proud to say that Réjean Richard Roofing was one of the original members. Protect your business, condo, apartment complex, townhouse, warehouse with a reliable roof constructed by a professional roofing company. We are the go-to team that many commercial and industrial businesses depend upon for roof repairs, installs, and replacements. To build and develop our team by empowering each of us to continuously grow to attain our full potential. We back up our work 100%, keep the customer satisfied, and are proud to be a member of the NBRCA. Wilson (J.E.) Roofing and Ventilation Ltd.
At J.E. Wilson, we compete based on quality, not price. Typically, the lowest price is not always the right price for a job. Quite often we may not be found at the lowest bidder, but at the end of the day, we offer the best value for dollar from the customers standpoint. Our work includes attention to detail that can go unnoticed by both the customer and a less-than-professional contractor. On some occasions, we have entered the project as the second bidder, and had to remove the work of a low bidder and rework the project the right way; effectively roofing a building twice. In that case the homeowner would have saved thousands as opposed to only saving a couple of hundred. In regards to safety, we want our people to work in the safest most efficient manner that they can; at J.E. Wilson, we never comprome safety for productivity. We work hard with other member contractors with regards to the changes in occupational health and safety act and we are in the stages of our auditing safety program right now. A commitment to quality and safety is going to set us and other contractors with safety programs apart from companies that don’t have them. This is why I am proud of what we have accomplished at J.E. Wilson and why I am proud to say I am a member the New Brunswick Roofing Contractors Association. Arrow Construction Products Limited has been serving the construction industry in Atlantic Canada since 1979. The company started with a single warehouse in Fredericton, N.B. with sales offices in Moncton, N.B. and Halifax, N.S. In 1980 a branch was opened in Moncton followed by Dartmouth, N.S. a year later. In 1983 a branch was opened in St. John’s, NF. Arrow, in the early years focused on products used in concrete for civil applications such as bridges and overpasses. Another major focus area was introducing single-ply roofing membranes to the Atlantic Provinces. These product areas are still major components of our product line; however industry demand and environmental controls have broadened our focus into many other markets. The protection of the environment as well as corrosion control on concrete and steel surfaces has broadened our concentration on new construction to restoration and rehabilitation. Industry and owners demand products that perform. Our company has aligned itself with major reputable manufacturers. A good part of our successful history has to do with demanding quality products. Since 1958, Bird Stairs has been a supplier of residential, commercial and industrial construction products. Serving contractors, engineers, architects and construction companies in Newfoundland, New Brunswick, Nova Scotia and PEI. We are the exclusive, authorized, distributor for leading roofing manufacturers; such as: IKO Industries and Firestone Building Products. Because we represent manufacturers of different roofing assemblies, we can supply the system that is right for your project. Contact one of our trained representatives to help you with your roofing requirements. For more than 100 years, CGC has been a leader in producing innovative products and systems to build environments in which we live, work, and play. Our commitment to the roofing industry is to deliver a selection of high-quality and high-performing products that give roofing professionals a better choice in the roof board category. With over a hundred years of experience working with rubber-polymer technology, and over 40 years in the roofing industry, Firestone Building Products Canada has become the industry choice for roofing solutions. Whether it’s EPDM, TPO, Metal, or Asphalt, Firestone Building Products Canada offers a roofing solution for every application. As a result, the quality products, installation expertise, and backing by the assets of a diversified multibillion-dollar corporation, make it clear why “Nobody Covers You Better”. Avec plus de 100 ans d’expérience à travailler avec la technologie de caoutchouc polymère, et plus de 40 ans dans l’industrie de la toiture, Firestone Produits de Bâtiments est devenu le choix de l’industrie pour les solutions de la toiture. Que se soit EPDM, TPO, métal ou l’asphalte, Firestone Produits de Bâtiments offre une solution de toiture pour chaque application. Fransyl was founded in 1982 to offer quality services and products to the roofer clientele of Montreal. It is in 1986 that the expanded polystyrene plant opened its doors. Fransyl now have branches in Montreal, Quebec, Ottawa, Toronto (Everest Supply), and Moncton. The Fransyl Group acquired the Lexsuco Corporation in 2010 including branches in Toronto and Vancouver under the Lexcan banner. Teaming up to create, manufacture and offer systems and products, by developing approaches that simplify the lives of prescribers, applicators, owners and suppliers, while maximizing the use of expanded polystyrene. Fransyl a été fondé en 1982 afin d’offrir un service et des produits de qualité à une clientèle de couvreurs de la grande région métropolitaine. C’est en 1986 que l’usine de fabrication de polystyrène expansé à Terrebonne ouvre ses portes. Fransyl possède maintenant des succursales à Montréal, Québec, Ottawa, Toronto (Everest Supply Inc.) et Moncton. Le Groupe Fransyl a effectué une nouvelle acquisition en 2010, celle de Lexsuco Corporation qui possède une succursale à Toronto et à Vancouver sous la bannière Lexcan. Lexsuco Corporation, has been contributing to the Canadian building industry for over 55 years. Lexsuco Corporation, proud to be Canadian owned and operated, was founded in 1961 to develop and market new technologies for commercial roofing applications, a standard it continues to honour. Throughout its history, Lexsuco Corporation has built trust and loyalty among roofing contractors, architects, consultants and others in the construction trade, due to its quality products and services. Its continuing research and development for new and innovative building products is also key to the company’s success. Lexsuco Corporation a contribué à l’industrie de la construction et du bâtiment depuis plus de 55 ans. Lexsuco Corporation a été fondée en 1961 afin de développer et mettre en marché de nouvelles technologies pour les applications de toitures commerciales, une tangente qu’elle honore encore à ce jour. Lexsuco Corporation a acquis la confiance et la loyauté de plusieurs entrepreneurs de toiture, architectes, consultants et autres intervenants dans l’industrie de la construction, le tout grâce à ses produits de qualité. La recherche et le développement de nouveaux produits et d’innovants pour la construction font aussi partie du succès de la compagnie. Il est de notre mission d’être un fournisseur unique, innovateur et de premier plan de solutions personnalisées pour l’enveloppe du bâtiment de part des propositions à valeur ajoutée, des produits manufacturés de qualité, des garanties de systèmes flexibles, une expertise technique dédiée et notre dévouement envers nos partenaires. Être un fournisseur incomparable et innovateur de solutions personnalisées pour l’enveloppe du bâtiment et être un véritable chef de file par des propositions à valeur ajoutée, la qualité des produits fabriqués, des garanties de système flexibles, des experts techniques dévoués et un engagement envers ses partenaires. 559 ch. Cocagne Sud Rd. Since 1998, ModulR TS has been successfully designing tapered layouts and serving the tapered needs with tapered Stone Wool, and tapered Composite Systems. In 2010 we expanded our tapered services and products to include tapered ISO and laminated tapered ISO. We also offer flat Composite panels, tapered backslope, pre-cut crickets, pre-cut sumps, cant and metal roof and metal deck flute filler. In 2004, Louiseville Specialty Products Inc. now MSL Louiseville FIberboard acquired the mill (built in 1946). MSL now manufactures a variety of building material panels: sheathing, roof insulation, (Ex. : SECURPAN) acoustic panels (Ex. : SONOPAN) and specialty products for various sectors. Products are mainly sold in Quebec, Ontario, the Maritimes and New England. MSL has built a solid reputation over the years and is a leader in product and customer service quality as well as environmental friendliness. The mill operates with a completely closed (zero effluent) water system resulting in an efficient and environmentally friendly mill. Over the years, MSL has committed to ensuring the viable future of the fiberboard panel mill. Its fibreboard panels are made with natural, non-toxic materials. They are stable, lightweight and easy to install-with recovery, recycling and environmental protection being core values. ROCKWOOL is the leading North American manufacturer of stone wool insulation products for the North American market. We have two strategically place manufacturing facilities, one in Milton (East) and the other in Grand Forks British Columbia, (West). Both factories use world class technology to produce residential products as well as a wide array of industrial, commercial and stone wool insulation products. Sika Samafil – A Business Unit of Sika Canada Inc.
Soprema est une société d’envergure internationale, spécialisée dans la fabrication de membranes d’étanchéité à base de bitume élastomère pour la construction, le génie civil et la protection de l’environnement. Les produits d’étanchéité Soprema sont utilisés dans tous les secteurs — industriel, commercial, institutionnel et résidentiel. Grâce à ses usines de fabrication établies à Drummondville (Québec) et à Chilliwack (Colombie-Britannique), Soprema offre aux Canadiens des solutions d’étanchéité novatrices à haute performance depuis près de 30 ans. Fondée en France en 1908, Soprema est aujourd’hui présente dans 80 pays. Daniel Theriault was the founder and ￼owner of Expert Roofers Ltd., a major roofing company in New Brunswick for more than15 years and which was an MRGNB participating contractor. 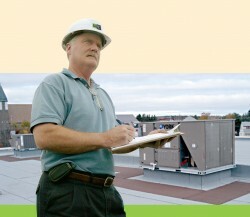 For DT Roof Inspection, owners are a core priority. We draw on over 30 years of experience in the roofing industry to offer a vigilant work site monitoring service. In addition to guaranteeing an on-site presence, we ensure high quality work. 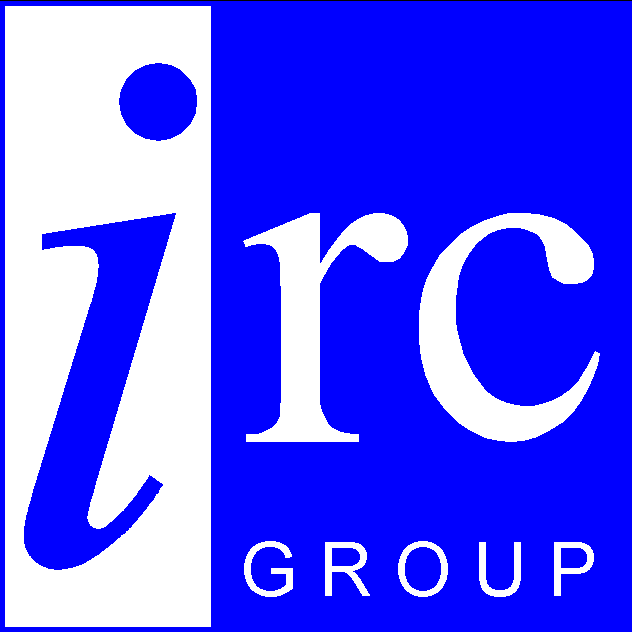 IRC Group is a consulting firm that focuses predominantly on evaluation and rehabilitation of commercial, industrial, institutional and residential buildings. IRC Group specializes in roof and pavement consulting, building envelope, structural, mechanical and electrical engineering and sustainability. Our team of engineers, RCI registered roof consultants and quality observers, project managers and coordinators use a unique cooperation and multidisciplinary integration of engineering services to deliver complete building performance expertise to our clients across Canada. Our core business is roof consulting and we are proud to manage over 110,000,000ft² of roof nationally. The building science and structural departments similarly manage existing building inventories along with our new construction projects. IRC Group can assist customers manage their large roof inventories through the use of our 24 hour emergency response system and data management software. IRC Group is an active member of several organizations, including Professional Engineers of Ontario, Construction Specifications Canada, the Ontario Building Envelope Council, RCI Inc., the Institute of Roofing, Waterproofing and Building Envelope Professionals. IRC Group is an ISO 9001 certified company. Landry White and Associates Consulting Inc.
Landry White and Associates Consulting Inc. is a roofing and waterproofing consulting firm with a combination of over 50 years’ experience in the roofing industry to serve Atlantic Canada. This experience shared between Peter Landry and Greg White (Co-founders of Landry White and Associates Consulting Inc.) brings a fresh experience to our clients, and the addition of Mike Bard (District Manager – Atlantic Provinces) will ensure an unequaled level of customer satisfaction providing timely services and prompt communication. We are committed to provide the highest level of service and ensure our best interest is always with our clients and their long or short term Real Estate investments. Landry White and Associates Consulting Inc. provides services to a broad spectrum of clients that encompasses Property Managers, Commercial and Industrial Building Owners, Food Processing Plants, Architectural and Engineering firms, and Private Residential owners. No project is too big or too small, or too complex. “We Aim to Exceed Your Expectations”. Preventative Maintenance Programs and Capital Budgeting. Site 2019 NBRCA. Site by New Brunswick Web Design.